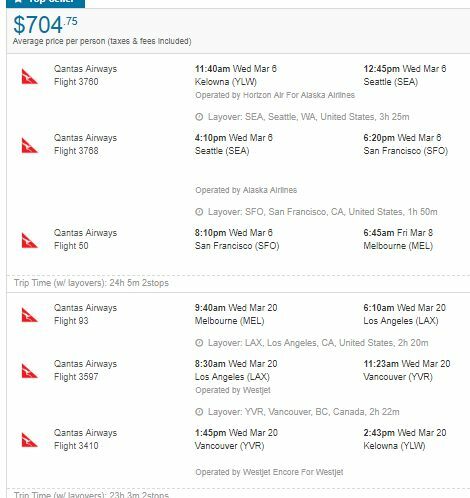 Qantas has once again dropped the price of their flights from Kelowna to cities in Australia, this time down to between $704 and $719 CAD roundtrip including taxes! 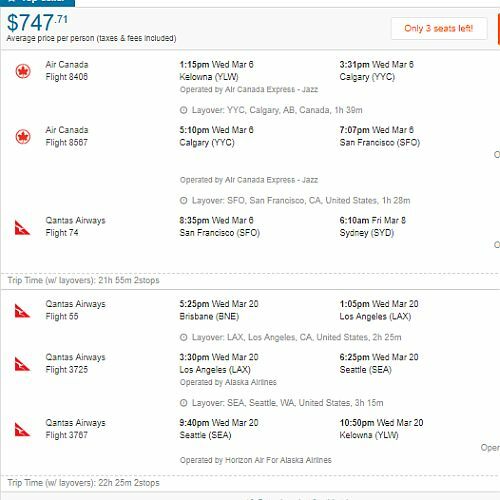 This is a new record for the cheapest roundtrip flights from Kelowna to Australia. 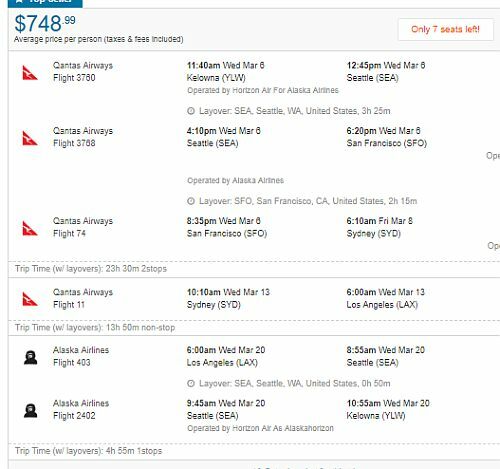 You can also turn these into 2-in-1 trips and visit both Australia and Los Angeles (or San Francisco), for about the same price (instructions below). - look for the dates that are somewhere between $780 and $797 roundtrip. For example, let's say you found a flight from Kelowna (YLW) to Sydney (SYD), from Mar 6 to Mar 20. For example, here is a screenshot from Flighthub of Mar 6 to Mar 13 to Mar 20. For example, here is a screenshot from Flighthub of Mar 6 to Mar 20. 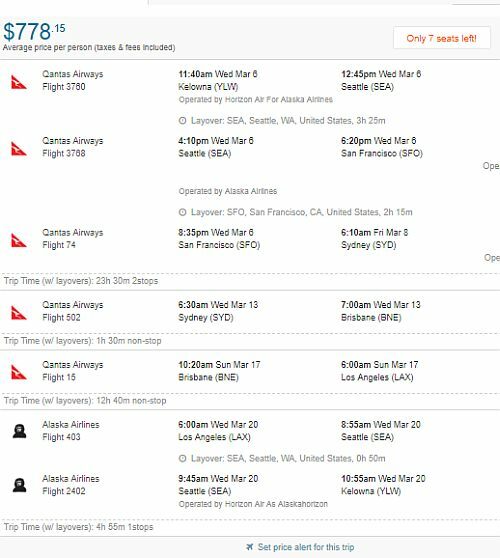 It's even possible to visit multiple cities in Australia *and* Los Angeles and still keep the total price under $780! 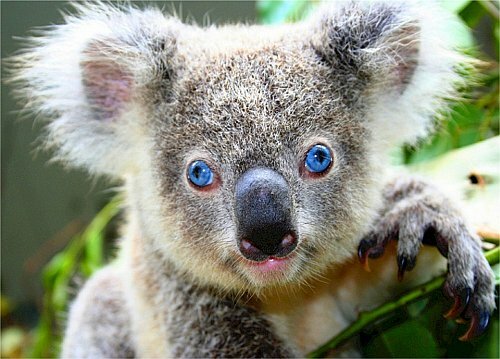 kelowna, YLW, flight deals, australasia, oceania, australia, brisbane, bne, sydney, syd, qantas, melbourne or mel.